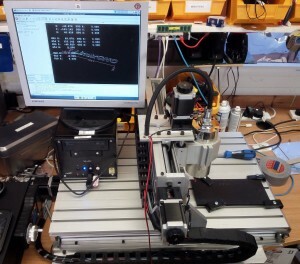 A new CNC Router has just been undergoing its initial testing and calibration procedures. Its purchase was jointly funded by the School and the Research Groups of Professor Al Dearle , Professor Simon Dobson and Dr Miguel Nacenta. The router will be used for the manufacture of printed circuit boards , it can also be used to machine Plastic and Aluminium parts for research and student projects using suitable 3D CAD software such as FreeCAD. 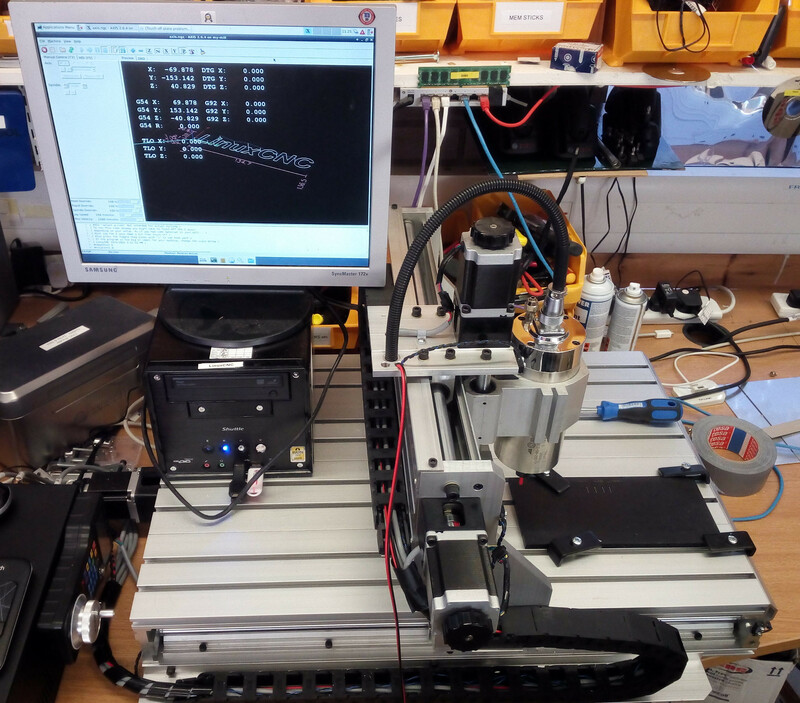 All the software used thus far has been Open Source and is as follows LinuxCNC for the machine controller , KiCAD for PCB design , pcb2gcode for the conversion of the Gerber file generated by KiCAD into GCode for the CNC Router. This allows one to manufacture PCBs using the copper isolation method , this is done using the Router cutter to create individual tracks on the blank copper PCB material using the generated GCode of the PCB design. The image above shows a newly made PCB that has been routed and is also drilled ready for electronic components to be inserted. wow!!!! This is so cool. I used to programme and operate a CNC Router, although it was for woodwork machining. I would love to see this bad boy in action.